OMG – WORKING WITH PROFESSIONALS FROM THE BEGINNING! We, at OMG Locksmith, are committed to keep our standards high and up to date: we are proud to combine the latest technology in key making and security systems with our ongoing passion and years of experience. OMG, your choice for reliable and professional locksmith. OMG believes in honest hard work. We are licensed, bond and insured. OMG is a TRUSTED name among car dealers, commercial companies, institutions private owners etc. We offer all our assets, products and knowledge at a competitive upfront price! 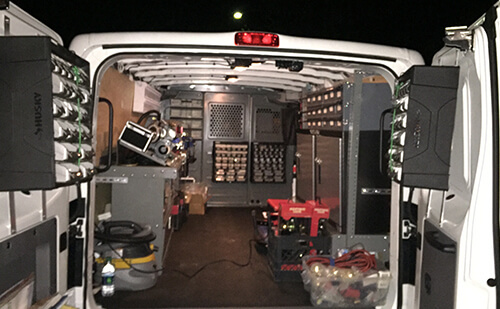 OMG vehicles are fully equipped to provide you with an on-site solution. Our stock includes car keys and remotes, and smart keys for most vehicles. In case we don’t carry your key, we will use our resources to order it for you.